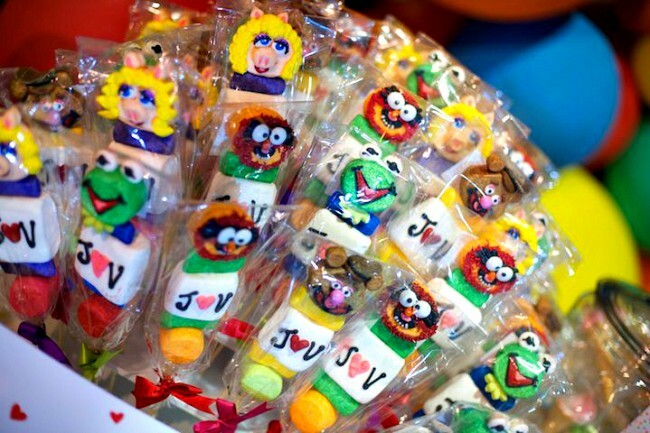 A few months back, The Queen of Swag – Vanessa, contacted me asking me to create Muppet inspired marshmallow pops for her wedding. The theme was Muppets and the wedding was going to take place at the actual Jim Henson Studios. How freakin’ cool is that?! 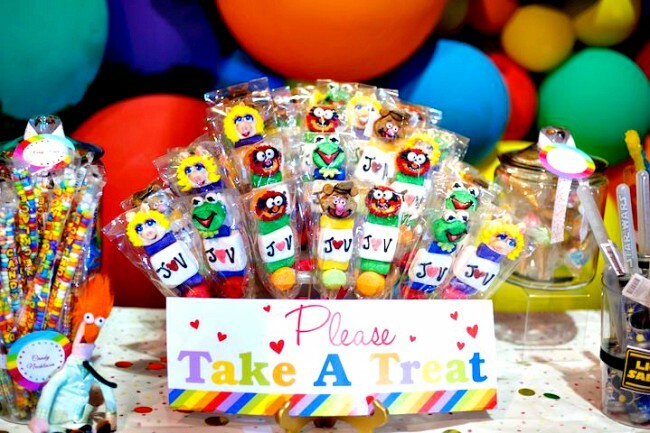 Although I don’t usually take orders, I was thrilled to design unique pieces for these cute little characters and to be a part of this fabulous celebration. 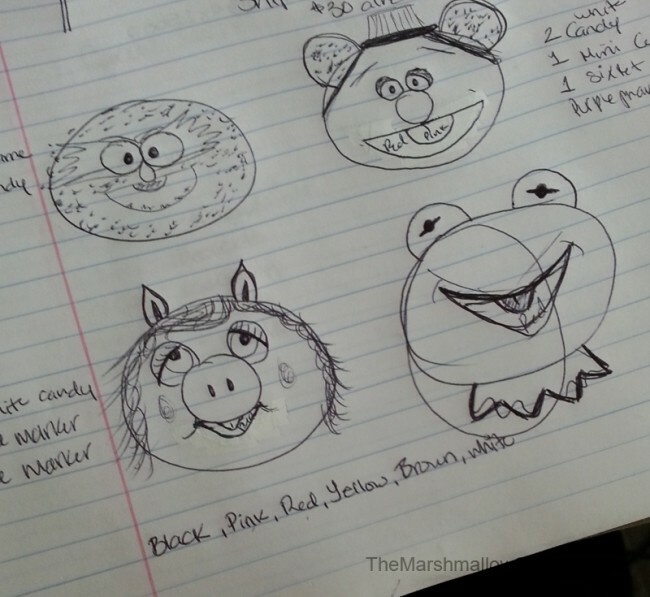 I began by sketching out the faces of the four chosen characters, Animal, Fozzie Bear, Miss Piggy and Kermit the Frog. This step is essential every time I envision a new design. 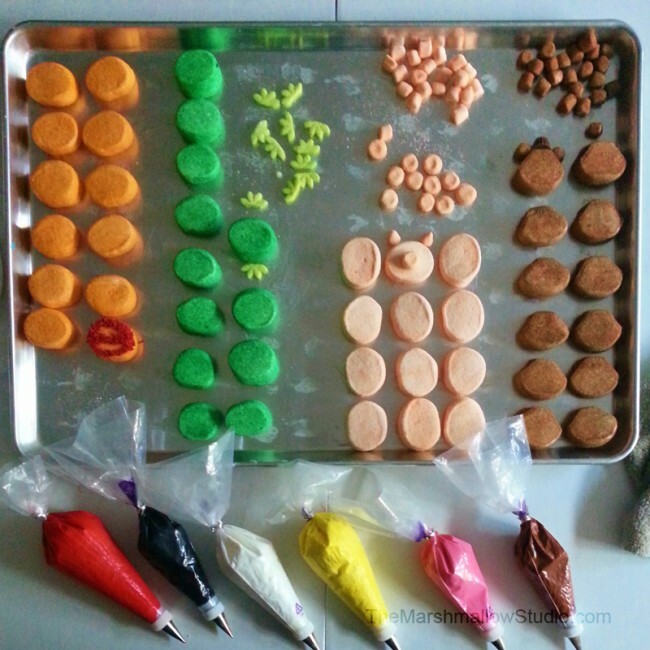 Next, I colored my royal icings and got all my face pieces cut and sugared. Decorating the face details was so much fun. I love getting creative with shapes and mediums to create each character’s unique look. 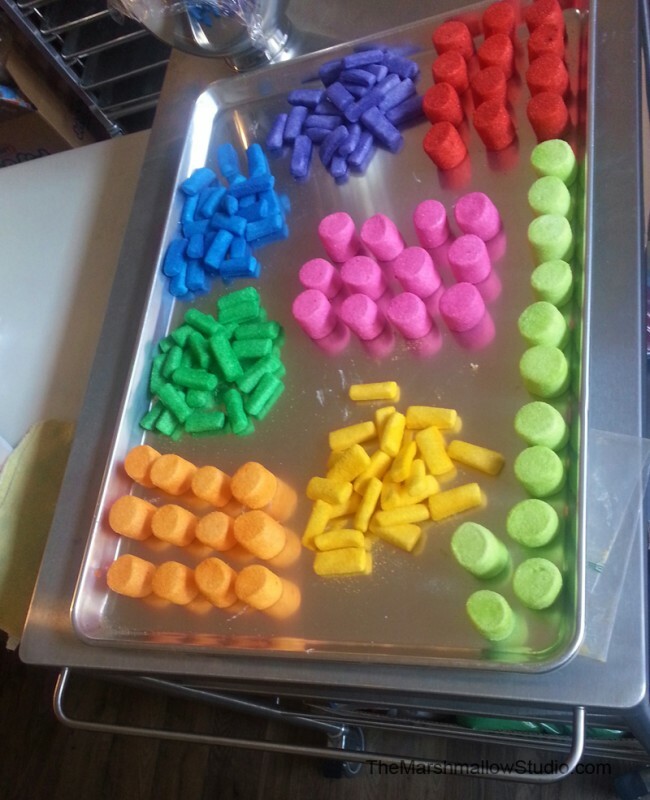 I used Sixlets, candy coated sunflower seeds, M&M’s, Mini Reese’s Peanut Butter Cups and red jimmies. 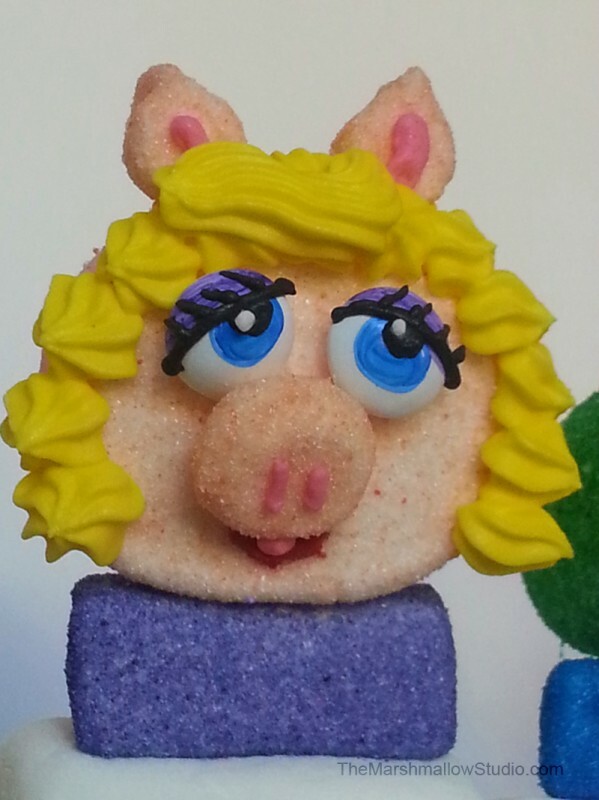 Once the faces where done, I cut and sugared the complimenting marshmallow pieces that would go on the pops. I couldn’t’ wait any longer to share these with you all so I asked Vanessa if she had any photographs she could share with me. She was kind enough to shoot me over a few personal photos of her big day since she hasn’t received them back from the photographer. 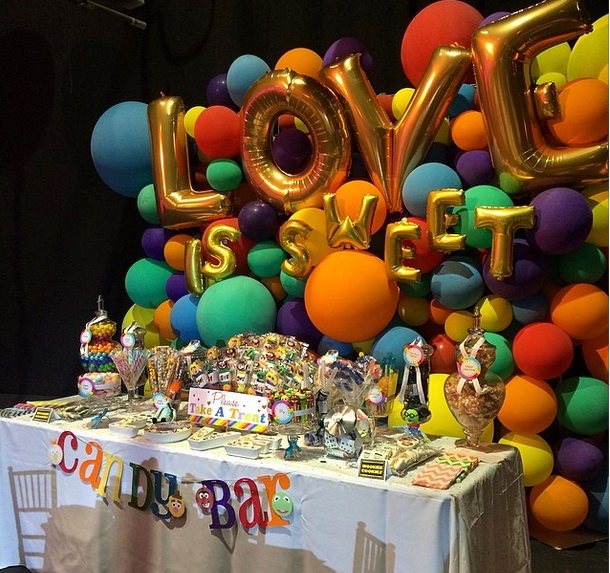 Check out this super fun backdrop of her candy bar. 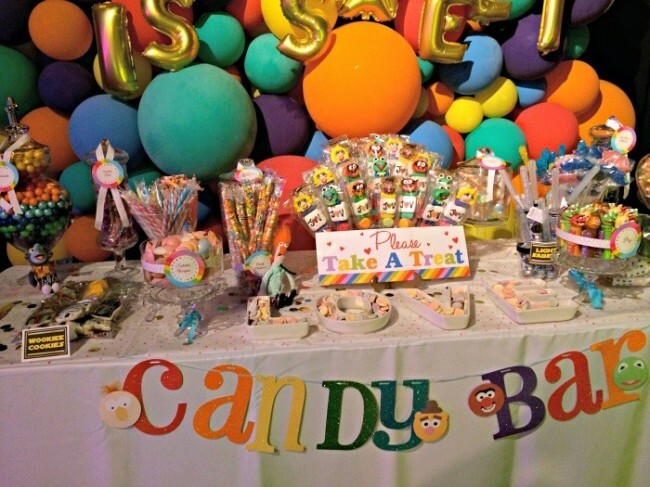 The colorful balloons and gold letters are all too fabulous! 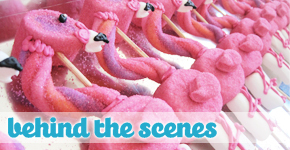 She really went all out finding sweet vendors to make her special day extra sweet. If you’ve read all the way to this part…. 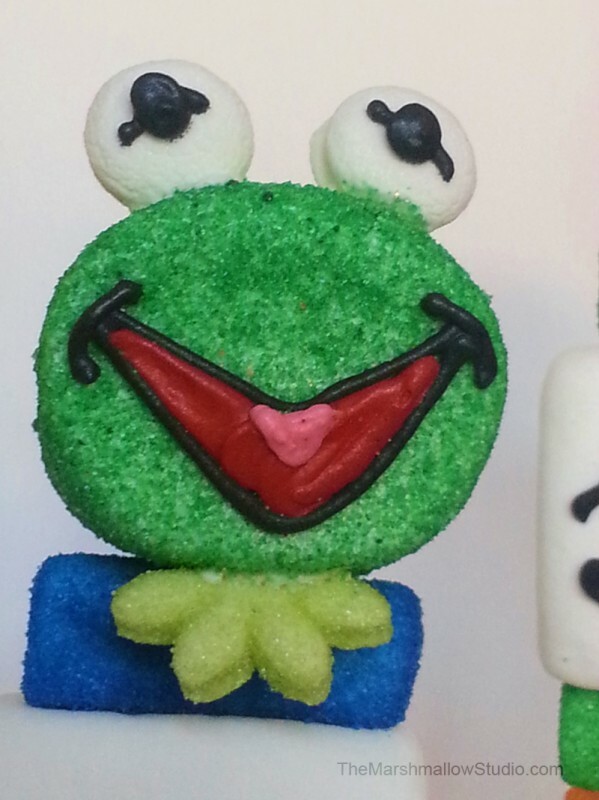 You either really liked my Muppet Marshmallow Pops or you REALLY want to know what my HUGE announcement is. 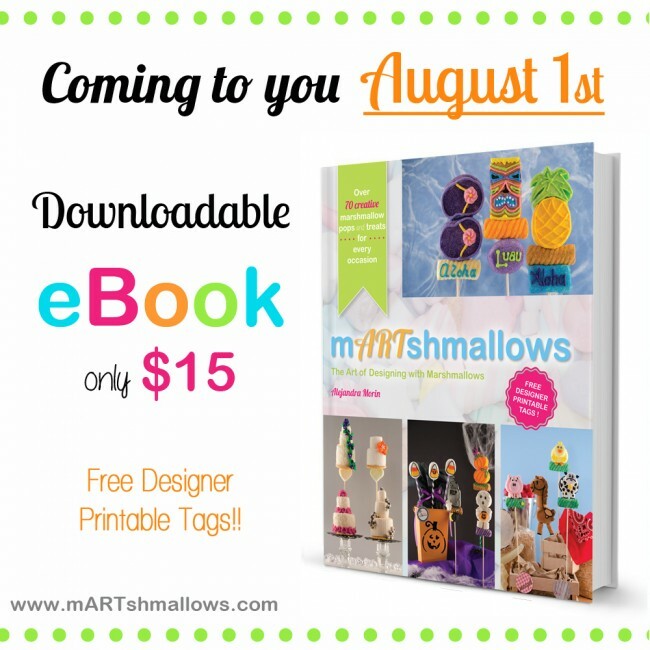 For the 1 year anniversary of our mARTshmallows book, we are releasing the ebook version!!! That’s right, you don’t have to wait to get it in the mail, you don’t have to pay shipping and you it costs less! There’s more! Or should I say… Espera hay más! 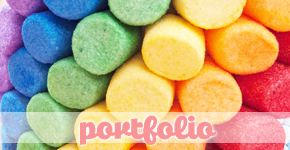 We’re also releasing the Spanish version of mARTshmallows. We are going international baby! Woohoo!!!!! More details and how to download your ebook will be announced shortly. Please stay tuned!! I love the Muppets too! Their attraction @ Disney is a must-see on each visit. 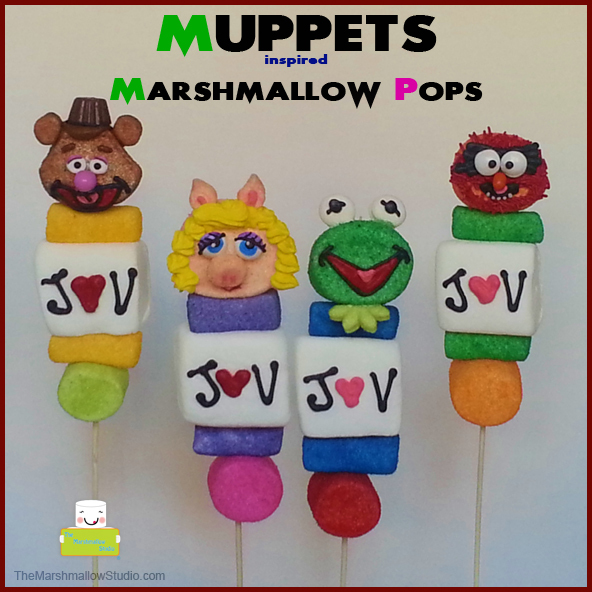 These marshmallow pops are adorable and amazing. Congratulations on your book coming into an E-version! That’s my birthday..So it’s a great day for us both! 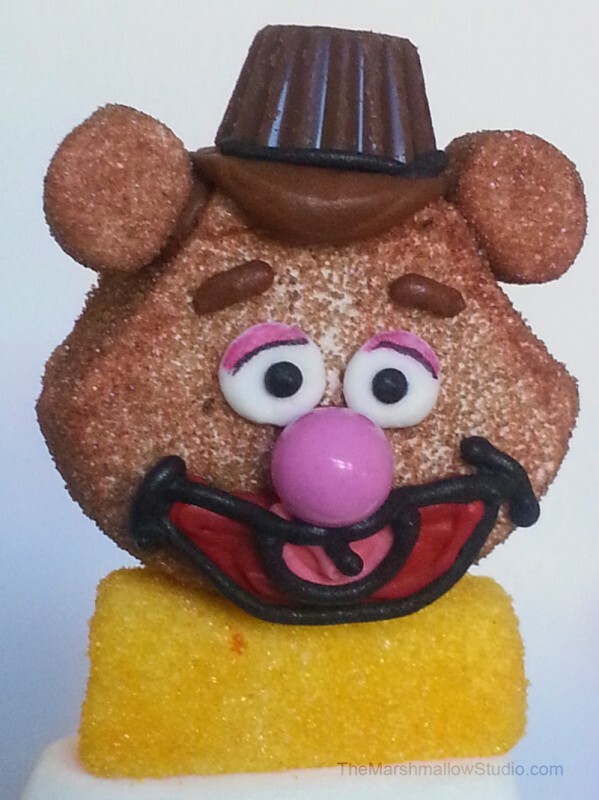 Your marshmallow creations never fail to make me smile! OH my GOSH! Those are so stinkin CUTE!!!! 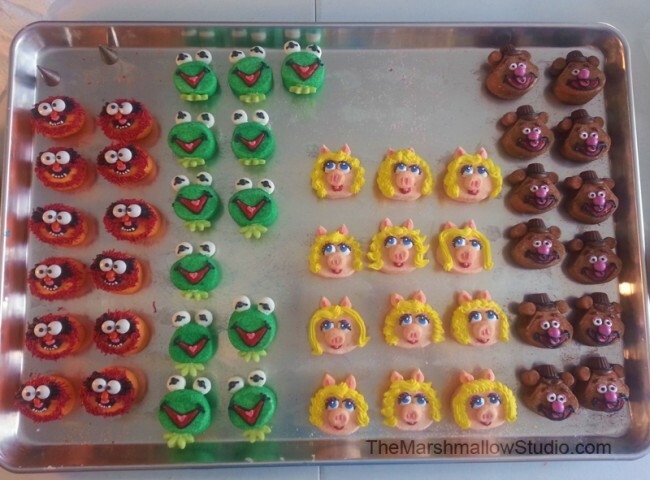 Amazing job on the Muppet’s. 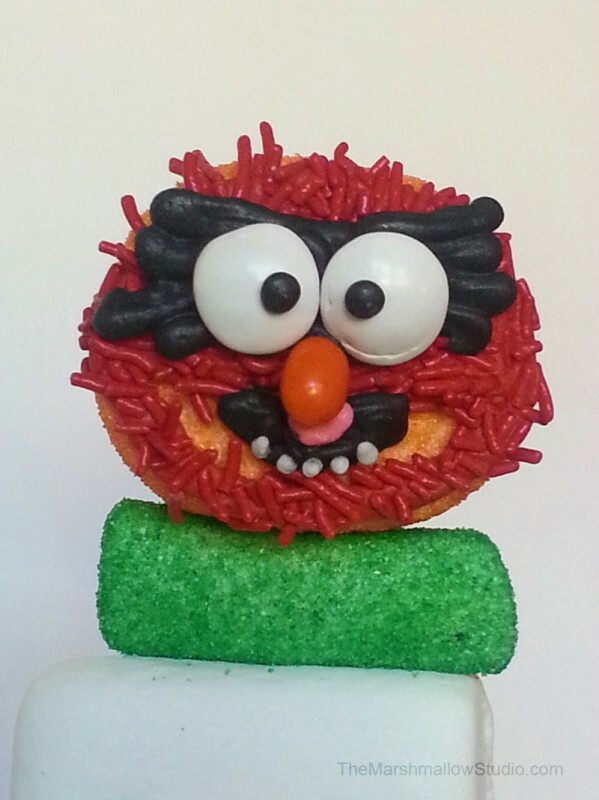 I was waiting for you to say, I’ll be in the next Muppet movie! Your news is super exciting too. Although I prefer an actual book, love flipping through the pages, I know lots of people like Ebooks. YEAH!! for going international. Woo Hoo!